Are you looking for a full-service automotive repair facility? If so, Stephens Automotive is here to bring you quality parts and customer service. If you need a timing belt replacement or would like us to check your timing chain, then call the team at Stephens Automotive. We assure that we will do your timing belt repair or timing chain replacement in Palatine right the first time. We know that eventually, the belts on your vehicle will need replacement, so we make ourselves available to be your choice technicians. You can trust your timing chain to our service and care. We never cut corners when it comes to timing belt replacement. Palatine is a northwest suburb of Chicago that lies in Cook County, Illinois. Palatine is the seventh largest city in the county with a total of 68,557 residents. Whether it’s the timing chain replacement or timing belt repair you can count on our team that has over 100 years of combined experience at Stephens Automotive. We are the automotive repair facility that has thousands of satisfied customers in the Chicagoland suburbs. Allow our team to maintain your vehicles timing belt. If you need timing belt replacement, a timing chain or timing chain replacement then contact Stephens Automotive for honest and trustworthy service. If your timing belt is missing teeth or has worn teeth, you still run the risk of engine backfires or stops. 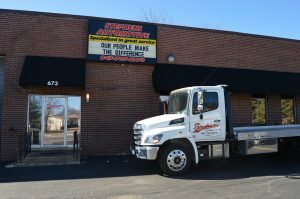 Don’t allow yourself to be inconvenienced by vehicle breakdown when Stephens Automotive can perform a routine maintenance check to keep your vehicle up and running. Call (847) 705-8770 today to schedule your vehicle repair.